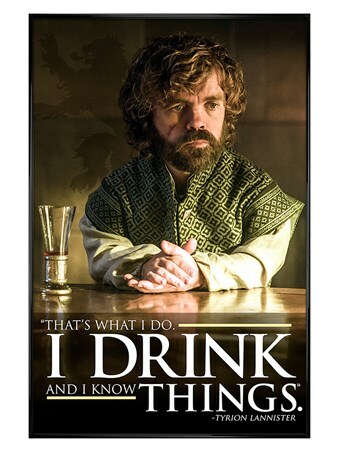 Stunted yet witty, this beloved Game of Thrones character may not be the most proficient of warriors but his sharp tongue has a nasty sting when needed! Sidestepping the sword, Lord Tyrion favoured books and knowledge above all things… Well, accept maybe wine. 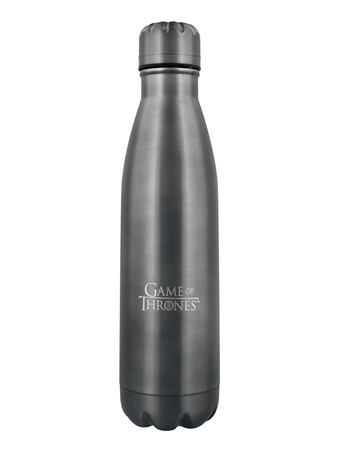 If your taste for the finest wines from Dorne far precedes your skill with a blade, then this fantastic metal drinks bottle is the only way to keep hydrated during those long hours spent in the library. 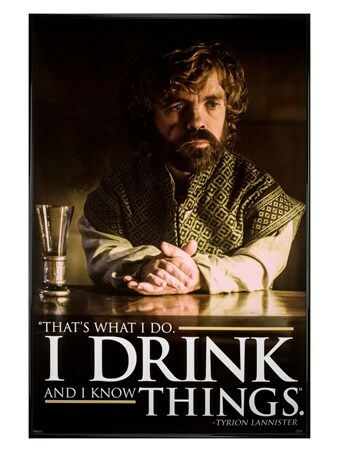 Featuring our favourite impish quote, this handy accessory is like a whetstone for the mind, keeping your greatest tool sharp and ready for any ordeal the seven kingdoms may throw at you. 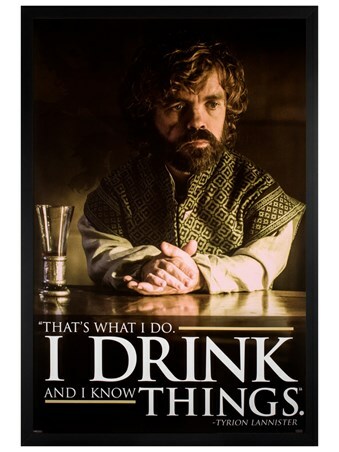 High quality, framed I Drink And I Know Things, Game Of Thrones water bottle with a bespoke frame by our custom framing service.